Pregnancy after Tubal Ligation is possible with a Tubal Ligation reversal. Clinically known as microsurgical tubal anastomosis, Tubal Reversal surgery restores a woman’s natural fertility. 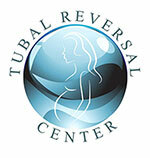 Dr. Morice is a skilled surgeon who has been performing successful Tubal Reversals for over 15 years. Isn’t Tubal Ligation a permanent procedure? No, Tubal Ligation can be reversed. During the procedure, Dr. Morice removes the blocked portions of the fallopian tubes. He then sutures together the remaining segments to restore the Fallopian tubes. This allows for passage of an egg from ovary to uterus for fertilization. What is the success rate for pregnancy after a Tubal Reversal? Patients of Dr. Morice report a pregnancy rate of 75% after their Tubal Reversal surgery. This is much higher than IVF’s success rate of approximately 30%. Better yet, women with Tubal Reversals have the opportunity to get pregnant more than once after the surgery. Read more about our success rates here.